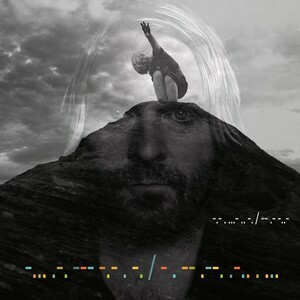 Kevin Max – Broken Temples | NoCoda. What It Sounds Like: Unable to be pinned down, Max crafts the most pop-friendly release of his career. So many times in the current state of music, the word “pop” carries such a negative connotation. Nothing could be farther from the truth on Broken Temples. It’s chocked full of hooks, retro vibes, synths, and a voice/style that can only be attributed to one performer, and one performer alone: Kevin Max. For about as long as I can remember, I have had two favorite vocalists. One is Nathan Barlowe, of the forever underappreciated Luna Halo. The other, of course, is Kevin Max. I love taking the tour through this man’s history. Go ahead and listen to Stereotype Be, Max’s experimental 2001 solo release that followed the split (ah, how much longer must the trio make me wait for a reunion?) of dc Talk. Listen to the rock of 2005’s The Imposter, the Gospel of 2007’s The Blood, and the electro of 2010’s Cotes d’Armor (True Rebels). Max is an evolver, never playing the same card twice. Along the way, he defied what it meant to be a Christ-follower in the world of CCM. He played what he wanted, drank what he chose, and told the world that Christ loved them, in whatever medium he felt led to at the time, conventional or not. Poetry, graphic novels, and social media interaction that provoked discussion with his fans; a jack of all trades, eh? He further shocked the world (or this writer at least!) when he became the lead singer of a newly reformed Audio Adrenaline in 2012, penning songs (primarily with Me In Motion’s Seth Mosley and the ever-popular Jason Walker) that easily fit on any CCM station, but were simply gigantic leaps and ocean-wide bounds better than anything that CCM has seen since the early 2000s. They were masterfully produced, but not shined to the point of overwhelming brightness and exhaustion. They were entirely faith-based, but devoid of insincere cliches. They also showcased Max singing songs that followed traditional pop structures, and showcased his voice in tones that had never been heard before from his vocal cords. There was also a renewed sense of purpose in his voice; a desire for simplicity. Abstract art is lovely, but transparency and straightforwardness can cut like a sharp knife. All of this has led him to Broken Temples, and it’s better than anything I was expecting. It’s a record that screams of redemption, and a personal one at that. There isn’t a bone in Max’s body that would wish the public would see him as an ever-consistent symbol of purity – he strives for us to see his redemption and change from one man to another, and to seek out the One that brings our redemption as well. There is no better starting point than the one he chose in Good Kings Highway, an arena-ready rocker which is about a millimeter away from a phone call to a priest to exercise the spirit of Bono out of it. It’s unabashedly U2, but let’s get real: Max not only can hang, but could probably supersede the Dublin king. He’s equally channeling a Bono-esque persona on the atmospheric ballad That Was Then And This Is Now, which continues the redemption saga. It’s mellow and powerful, and floats along in its second verse with a beautiful guitar line that simply hits me like something right out of a Mark Knopfler record. The previously mentioned retro vibes and dance structures come full force with Max’s love merging current trends with 1980s culture. Just As I Am includes hints of current trending indie guitar work (see Bloc Party’s Octopus, or Truth, or a sampling of Two Door Cinema Club tracks) backed by sounds that surely come from square lighted floor panels than change from red, to blue, to green, and back again. Clear is an easy standout, channeling Depeche Mode-ish stylings, if only Dave Gahan would learn to cheer himself up a bit. Only in the silence I confess / Only in the silence manifest / You speak clear to me is a tad more uplifting than lyrics like Death is everywhere / There are lambs for the slaughter / Waiting to die (from Depeche Mode’s Fly On The Windscreen), wouldn’t you agree? I’ll tell you what though – Max and Gahan would surely make a killer duo, seeing how Max surely knows his way around a synthesizer, as Clear illustrates. They’d probably call themselves….well, I don’t know, but something artistic and grand and worthy of their stature. Light Me Up is a sure-fire radio single that is, by far, the most pop-loving thing that you have ever heard come from Max in his career. When We Were Young is a grand and insightful look at the walls that we build between us. White Horse is a fantastic journey into the psyche of us living in the present day, awaiting Christ’s return. You pick me up / And through this journey give me faith again / Soon this life will turn to ash like it once began / We will fade / But no no no no this is not the end, he sings. Solid tracks that are the farthest thing from filler. My quick notes do not dictate haphazard songs. Infinite closes the record in a unique fashion unlike anything else that we find here. It’s a simple, mid-tempo piece of work that would make Larry Norman more than proud. It’s a campfire sing-along that deserves to be performed around an enormous bonfire with thousands gathered surrounding it, united in chorus. The standard ten track version of Broken Temples includes only eight original songs, but includes two remixes (courtesy of Derek Webb) of Just As I Am and Clear. They’re minimalistic and unique, and while enjoyable, not ones that necessarily open the door to much further depth. What’s puzzling is that on the special edition of Broken Temples, Max includes two additional songs, Lay Down Your Weapons My Friend and Freak Flag, which could have easily replaced the remixes on the standard version, and made the standard version killer. It’s possible that Max wanted to give his backers at PledgeMusic (who funded the record and could receive the special edition) something extra special, and didn’t feel that two extra remixes would have cut it. Whatever the case, it struck me as an odd move. Lay Down Your Weapons My Friend is a bluesy number that I enjoy. I can’t stay on it too long, however, because of the other bonus track that I need to tell you about right now; right this second. Freak Flag will make anyone who grew up in the prime of CCM smile wider than they ever thought possible. The term “ear to ear” comes to mind, and my regret factor in using that term? Absolute zero. Jesus Freak is definitive to those of us who love both the Lord and music, so to hear a voice that is so familiar to all of us that grew up with dc Talk belt out lines like this that mirror 1) lyrics from 1995 (“I don’t really care if they label me a Jesus Freak”) and 2) Toby’s battle cries at the end of live performances (“JESUS IS THE WAY!”) – it’s just like walking up to an old friend that you haven’t seen in years upon years and embracing them. Plus, Freak Flag is a pop-rocker that would feel right at home blasting out of a church’s Youth Group room speakers in 1998 while kids (like myself) were playing foosball and opening new packages from Interlinc. It feels so good, but despite all of my best intentions, it would never get touched by current radio. It’s not trying to be cool or new or hip. It’s trying to be fun and straightforward, and it works. Many of you may call it “dated”. I can already hear the word “lame” being thrown around. Stop it. Get off your high horse, stop only praising the newest Imagine Dragons single, and let your freak flag fly! Let it fly so high! We don’t care what people think / We’re just a bunch of Jesus Freaks. We don’t care what people say / Jesus is the only way. Ladies and Gentleman – I give you Kevin Max (Smith), or KMax to those of us who feel that personal connection to his music (which is to say…everybody). This man has been in music for 28 years, and he’s come a long way from the early hip-hop dc Talk days of Heavenbound. To still be bringing us songs of such high caliber; to not be burned out – it’s a testament to a man who is still being used for the greater good by Something much more powerful and grand than ourselves. Lord willing, I hope he never stops.